This 1990s home had not been updated since it was built. It was dated, and the homeowners wanted to create a space more conducive to entertaining. The existing kitchen did not accommodate entertaining and was “chopped up” by a large peninsula. The cooktop and hood at the small island left little room for food prep. There was also a lot of wasted space above the cabinetry. The remodeled kitchen offers a better traffic pattern and updated look without straying too far from the feel of existing spaces. The custom, raised panel birch cabinetry, travertine subway tile, and granite countertops complement the original feel of the house without matching it. This creates a seamless transition, so the homeowners didn’t feel obligated to update the entire first floor. The kitchen also includes a large island with two levels, making it multi-purpose: one level for food prep and the other with room for dining. The range hood is a focal point, or anchor, of the kitchen. It stands out, yet blends well with the cabinetry and style of the kitchen. Everything has its place. For example, a spice drawer in the island keeps the spices organized and within reach of food prep. The raised panel, arched valence adds character to the space and softens the look of the room, contrasting with the straight lines throughout the kitchen. The Sienna Bordeaux granite countertops add warmth and movement to the island and perimeter tops. The paneled beverage refrigerator is ideal for entertaining and blends with the custom cabinetry. 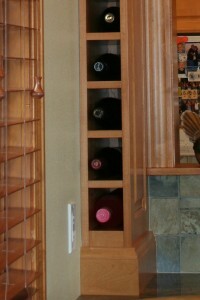 The wine refrigerator is also a great “tool” for entertaining. This area works a little “double duty,” as well. It takes on a wet bar function, with glass storage and room to mix drinks, and it serves as a “drop zone” for phone charging. The island sink is near the refrigerator and prep areas, creating a “work triangle.” It also serves as a bar sink, being close to the beverage and wine refrigerators, so people don’t have to use the main sink when preparing drinks. This entry was posted in Projects and tagged Beverage Refrigerator, Birch Cabinetry, Custom Cabinetry, Delafield Remodeler, Granite Countertops, Home Improvement, Kitchen Cabinetry, Kitchen Hood, Kitchen Remodel, Lake Country Remodeler, Milwaukee Remodeler, Paneled Refrigerator, Raised Panel Cabinetry, Range Hood, Sienna Bordeaux Granite, Southeastern Wisconsin Remodeler, Subway Tile, Traditional Kitchen, Traditional Kitchen Remodel, Travertine Tile, Waukesha Remodeler, Wine Refrigerator, Wisconsin Remodeler on March 3, 2015 by amanda. The homeowners wanted to update their first floor to accommodate entertaining and daily living while taking advantage of the lake views. 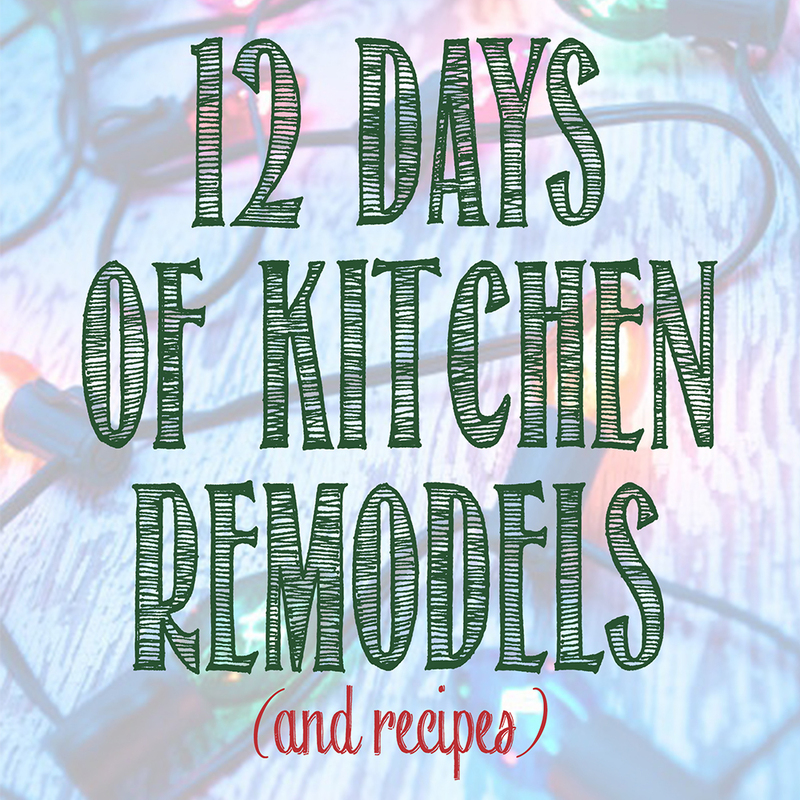 The remodeled spaces enhance the home’s original charm and offer an open floor plan. The original kitchen was dark and dated, with little work space. The remodeled kitchen features painted and glazed custom cabinetry, granite countertops, high-end appliances, and ample storage and counter space. The large island accommodates casual meals and entertaining, and its contrasting color adds interest to the space. Neighboring the kitchen was the cramped wet bar area. Now, the wet bar serves as an entertaining hub, having a direct connection to the kitchen, dining room, and family room. It also features a coved ceiling to complement existing details. The back of the home was closed off to the lake views. The homeowners wanted to improve the sight lines, so they could enjoy their backdrop. The remodel opened up the back wall of the home to showcase their views and create space for a screened-in porch. Heated floors allow the homeowners to enjoy the space into the fall months. This entry was posted in Projects and tagged Coved Ceiling, Custom Cabinetry, Delafield Remodeler, Entertaining, First Floor Remodel, Granite Countertops, Home Improvement, Kitchen Island, Kitchen Remodel, Lac La Belle Home, Lac La Belle Remodel, Lake Country, Lake Country Remodel, Lake Home, Lake Home Remodel, Milwaukee Remodeler, Oconomowoc Remodel, Painted Cabinetry, Painted Cabinets, Screen Porch, Southeastern Wisconsin Remodeler, Sunroom, Sunroom Remodel, Waukesha Remodeler, Wet Bar, Wet Bar Remodel, White Cabinetry, White Cabinets, White Columns, Wisconsin Remodeler on October 14, 2014 by amanda.